We also provide in work support (funded by DWP Access to Work)and we are also a City & Guilds Centre. To date we have supported young people from 14 London boroughs. We are based in Southwark near Elephant & Castle. The Autism Project (TAP) is a full-time, two-year, employability programme for young people on the autistic spectrum, aged 18-25. August 2016, The Autism Project was added to the Secretary of States Section 41 list of approved providers. 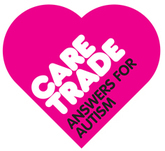 The Autism Project curriculum is based on: the experience of running our one-year TAP supported internship programme (for 6 years) and our very successful follow-on project, Employment Opportunities; and the feedback following a recent consultation with students and parents, both past and present. Our aim is to make the journey towards and into employment more seamless and flexible in order to better meet the individual needs of students. Additionally, we hope that this will further improve our already very positive outcomes. All students will follow our supported internship curriculum for their first term and typically students will spend 3 terms (their first year) following this: they will learn within real work experience placements within either Guy’s or St. Thomas’ hospitals four days a week, supported by work-place mentors and specialist job coaches and spend one day a week in class where they learn valuable employability and independent living skills and work towards City & Guilds qualifications. The objective is for young people to become ‘work-ready’ and to have gained a reference from their workplace. Students’ progress to the Year two curriculum once ‘work-ready’, typically in term 4, where the focus is on greater independence in the workplace and to support students to develop the skills and confidence and to actively seek and hopefully gain paid employment, an apprenticeship or further training of choice. TAP staff use person centred planning and our aim is to help all students reach their individual goals as defined in their Education Health and Care Plans (EHCP). Class based learning is being developed in termly modules so that students can move from year one to year two curriculum at their own speed. This also means we will be able to accept students at the beginning of any term. From September 2017 all our students will have access to our new counselling service. All students will have the opportunity to meet with TAP staff prior to starting the programme and will have an induction suited to their individual needs. We accept referrals from Local Authorities and directly from young people. Applicants should complete a TAP application form and supply copies of documents as requested including a copy of a current EHCP where applicable. We interview all applicants (who meet our primary criteria) and all suitable applicants are invited to complete an assessment and DBS check. All students are required to have an EHCP in place prior to starting. Any additional support needs should be discussed when applying to ensure the correct support is in place prior to starting. All programmes are located in fully accessible buildings.